You may assume that the Dubai desert would be hotter than the city in the late afternoons, but this is not the case. Many people don’t realise that not only is it possible to travel to Dubai during summer but in the late afternoons, it is actually cooler in the desert than the city! About two hours before the Arabian sun sets, the temperature in the desert begins to cool down quite rapidly – in fact, it can be as much as 7 to 10 degrees cooler than the city and the coast. The main reason for this is because of the sand. There’s not a lot of moisture in the sand so this causes the desert to cool down rapidly in the late afternoon and early evenings. Because of this, exploring the desert in the late afternoon during the summer is one of the best things to do during a trip to Dubai. Bedouin, groups of nomadic natives who inhabited the desert regions, adapted to the desert climate accordingly – traditionally their desert camps were built on sand dunes in order to catch the breeze of the late afternoon. The tents are specifically designed to allow air to circulate within them, keeping them cool. Animal hair is also usually used to insulate the tents which keeps them cooler during the day. 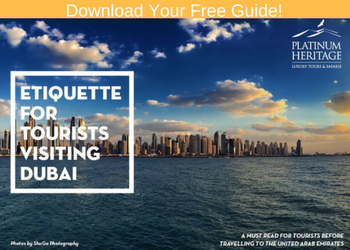 Tourists tend to prefer to visit Dubai during the winter months when the temperature is cooler, but with the right information and planning the summer can be a great time of year to visit. 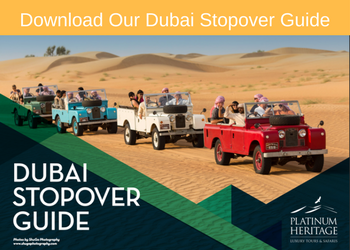 During your time in Dubai, you can explore the desert in luxury air-conditioned Range Rovers or feel the breeze in your hair in open-air vintage Land Rovers. Visit an authentic Bedouin camp to enjoy a relaxing evening under the Arabian starry night-sky in cool and comfortable traditional majilis nestled in the Dubai desert. This is an opportunity to soak up the rich culture and catch a glimpse of the authentic side of Dubai. Escape the heat of the city and get out into the desert this summer! Our Summer Desert Safaris includes a special edition Emirati Cuisine Tasting. 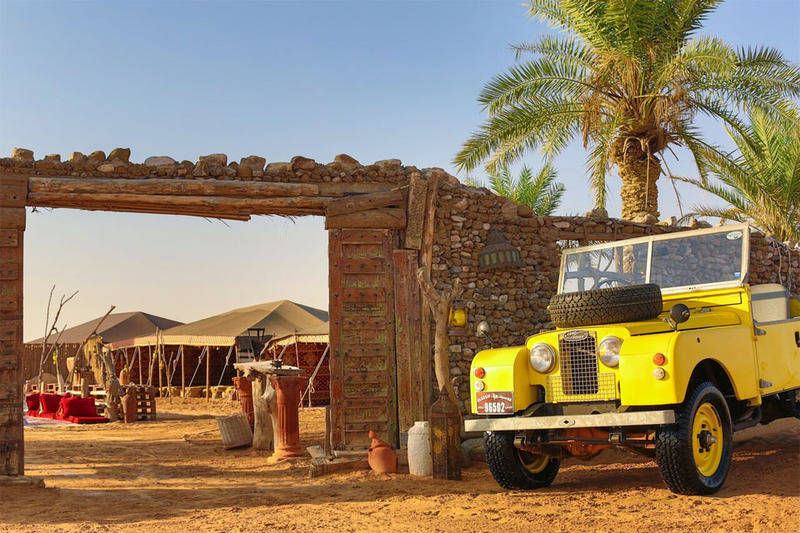 In addition to the usual wildlife drives, cultural entertainment, falconry and delicious Arabic feasts, enjoy a rare delicacies tasting in an authentic Bedouin camp. Compare the desert truffle with the European truffle and sample some of the region’s lesser-known delicacies like fresh Arabian oysters from the Gulf Sea prepared traditionally, and a variety of local cheeses.